October | 2011 | Dark Places. Stories we create in play. 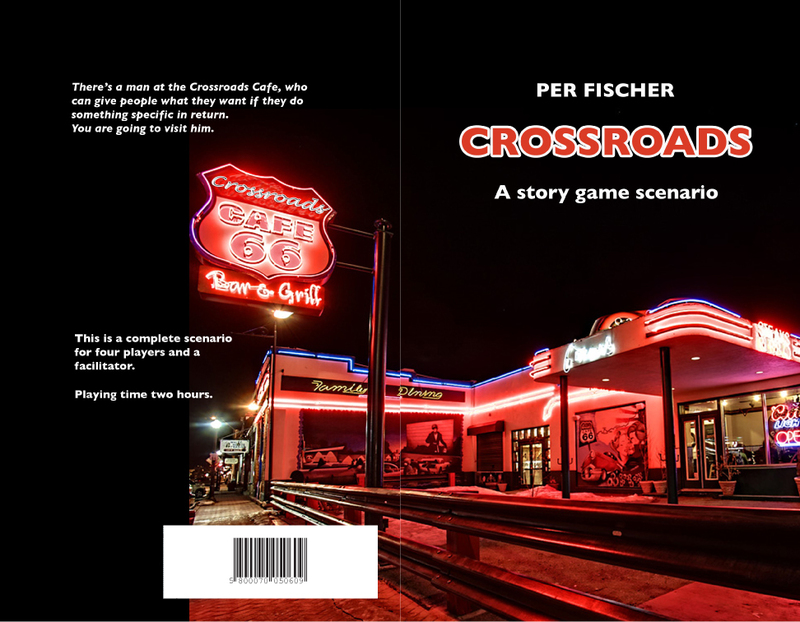 Crossroads, a “short story” scenario to be run at Danish convention Fastaval in 2012, is pretty much done. There are still two playtests happening in October, but unless they throw up big issues, it’s a wrap. 24 pages comic book sized, of which half are the player characters and bonus cards. Inside is black and white without illustrations and there’s a colour cover. 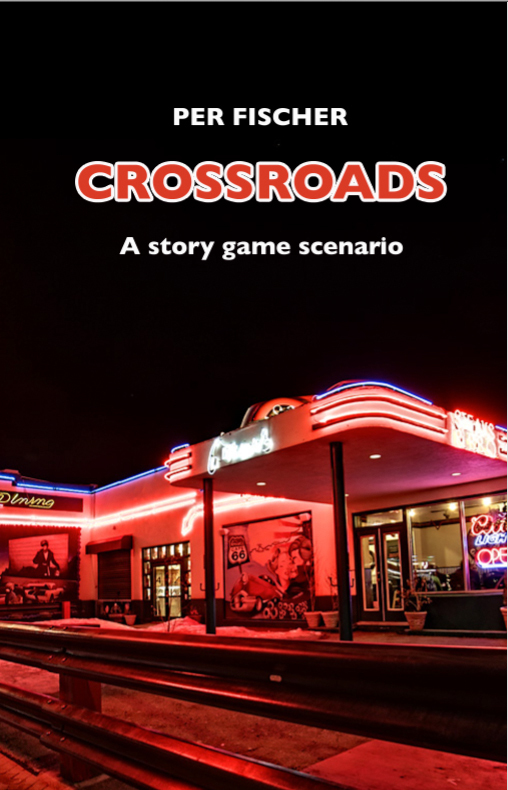 I’ve been trying to write shorter convention scenarios over the years, and I think this is a really good format and length, for both the facilitator and the players. You can probably read it on the bus on your way to the convention and still be able to comfortably facilitate it without problems. Nerdinburgh is the most private of conventions. To be able to attend you have to be invited. By me. The first time I organised it was a couple of years ago, in my house, and while it was totally awesome, the venue wasn’t ideal. This is not Photoshopped. This is real! Now, this time around we have gone all the way. And I do mean all the way. With the help of Joe and Debbie, we are collectively renting the Old Observatory House, on Calton Hill right in the centre of Edinburgh. The observatory, now long obsolete due to light pollution, is still there, right next to it. But be envious, be very envious. This is the awesomest of roleplaying locations you’ll ever see. The only bummer is the number of people it actually accommodates – sleeps 8, plays perhaps 16. We have people travelling in from Sweden, China, and indeed Milton Keynes. You will cry yourself to sleep tonight just because you are not part of it, so apologies for that right away. What’s happening at Nerdinburgh II? Well, for starters we have a Mechaton extravaganza on Sunday, and there have been announced Sorcerer games, Apocalypse World, actual copies of Matt Machell’s new game The Agency straight from the printer, playtests of Sunshine, Crossroads and Vincent Baker’s new game Murderous Ghosts. It’s crazy. One of the playing rooms. Awesome doesn't even begin to describe it. If that’s not dedication, I don’t know what is. Oh, we’ll be tweeting and podcasting from the event, hopefully. Stay tuned. It’s Sunday morning and Miles Davis’s Kind of Blue is on the stereo. In the last couple of weeks I have been re-visiting “forum play”, or play-by-post, roleplaying. I have played in many games in the past, but they often run dry because especially the tempo in play-by-post is excruciatingly slow. Judd Karlman posted some thoughts on forum play, and it was indeed Judd’s ideas to play a 1-on-1 forum game of Burning Empires that rekindled my interest. Thing is, I don’t know any other gamers near me that are interested in investing the energy and time it takes to play Burning Empires, and I even think it’s worse today than when the game was published in 2006. These days it’s all no-prep instant pickup games that engage people. I think that’s sad, and I hope the gaming equivalent of slow food will become popular again. The only way I will get to play Burning Empires will be play-by-post. I’ve run a BE game on a forum before with three other players. We made it through world burning and halfway through the first maneuvre and then one of the players bailed. It was slow. Very slow. On the other hand I played a couple of big BE firefights with none other than Iron Empires/Burning Empires artist Chris Moeller on a forum, and that worked very well indeed. That’s why Londoner John Anderson and I have started a 1-on-1 Burning Empires game on Obsidian Portal, a website dedicated to forum play. Now, Burning Empires is not really designed for 1-on-1 play, so we’ll possibly have to tweak it a little to make each side more GM-like. Forum play is the slow option, but sometimes it’s the only option. You are currently browsing the Dark Places. Stories we create in play. blog archives for October, 2011.